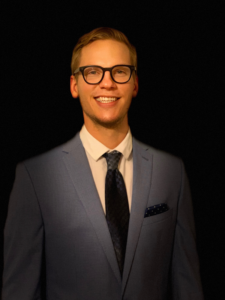 Acclaimed Bozeman chiropractic office Pro Chiropractic continues to grow adding very qualified Chiropractic Physician, Dr. Forrest Allen, Montana State University Alum and Logan University Graduate. With rave reviews skyrocketing, it’s no surprise Bozeman, MT-based Pro Chiropractic has likewise seen their number of patients grow dramatically. Treating everyone from general pain patients to the highest levels of athletes, the Pro Chiropractic staff has won praise for their expert, kind, and effective care. In exciting news, Pro Chiropractic recently announced they have added an additional Chiropractic Physician to their team, Dr. Forrest Allen. The enthusiasm surrounding Dr. Allen taking patients is building! Dr. Allen has keen interest in treating athletes but also treats the general public. He has pursued extra training in the McKenzie method of Mechanical Diagnosis and Therapy (MDT), Dynamic Neuromuscular Stabilization (DNS), Selective Functional Movement Assessment (SFMA), reflex locomotion, dry needling, TMJ dysfunction, treatment of extremities, Active Release Technique (ART), kinesiology taping and instrument-assisted soft tissue methods. His personal hobbies include running, snowboarding, hiking and exploring the great outdoors with his black lab Sabrina and girlfriend Kayla. Dr. Allen is extremely excited to be a part of the Pro Chiropractic team and looks forward to joining and serving the active Bozeman, Montana community! In addition to the Bozeman office, Pro Chiropractic also takes patients in Belgrade, MT, delivering the same level of first-class treatment across the Gallatin Valley. The reviews for Pro Chiropractic continue to give the team two thumbs up. For more information, be sure to visit http://prochiromt.com.